The Solaris Editors' Blog: Solaris Books: First Choice of Shady Czech Assassins Everywhere! Solaris Books: First Choice of Shady Czech Assassins Everywhere! So, as a big Bruce Campbell fan, (who doesn't love him in Evil Dead 2?) 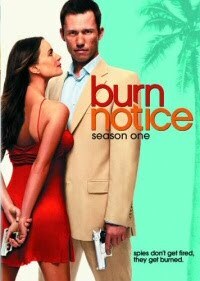 I can't wait to watch Burn Notice, that awesome-looking show about ex-CIA operatives in Miami. However, as my lazy student boyfriend is on his summer holidays at the moment, he's got there first and he's watching it without me! Grrr! How do I know this? Because I got this text from him today! Disclaimer: Solaris books does not encourage its readers to get involved in international conspiracies of any kind, nor to take on assassination contracts. I never noticed that! Will have to go back and rewatch some day. Do you like campbell in Bubba Ho-Tep? 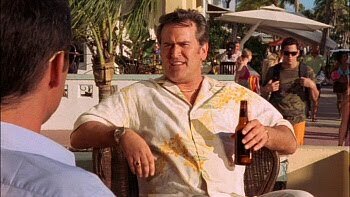 Also, classic Bruce film "My Name is Bruce Campbell"